The world has finally woken up to the reality of climate change. It is heartening to know that many now recognize and accept that this is real and has immense consequences not just for our environment but ultimately for the very existence of humankind itself. China, together with the United States, is now being seen as the biggest challenge in attempts to arrest global warming. Besides the encouraging mindsets of governments, the proliferation of environmental NGOs in the past decade also attests to the seriousness of deforestation, pollution, soil erosion, species extinction, and so on. Most notably Conservation International and IUCN – The World Conservation Union. The latest report by the International Panel On Climate Change (IPCC) (which is made up of about 1,000 scientists from all over the world) unequivocally lays the responsibility of global warming on human activities. In Singapore, I am also happy to note that some members of the government have spoken on this during the budget debate. MPs Hri Kumar, Lim Wee Kiak, Lily Neo and NMP Eunice Olsen have all suggested ways for Singaporeans to become more environmentally-aware and for the government to do more in this area. However, I feel that the MPs’ queries and suggestions do not address the fundamental cause of climate change, at least in our region of the world. To my mind, the fundamental cause is a country’s (and its people’s) desire to progress economically – even at the expense of damaging its own long term prospects or even survival. You might call this anthropocentrism which, to put simply, is the belief that the human being is the central concern, above everything else. And indeed, the behaviour of some governments and some people display this belief – that it is right to abuse nature as long as it benefits its people, and economy. But this is a short-sighted view because natural resources are not infinite but finite. What happens when Indonesia has burned all its forests in Sulawesi, Kalimantan and Sumatra – as well it might do within this century? 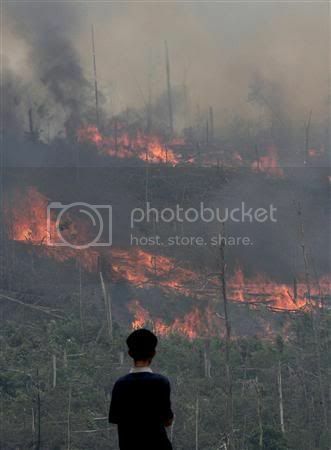 At the rate of burning 2 million hectares annually, Indonesia does indeed face such a scenario. The Singapore government’s stance on climate change, as far as I can see, is that we in Singapore will do whatever we can – locally – to prepare ourselves for any consequences. Indeed, Singapore’s small size is often cited as a limitation to what and how much we can do. While this is true – physically and locally – there is actually room for us to do more, as a member of ASEAN and even as a member of APEC to help bring global warming to the regional agenda and under control. But environment ministers from ASEAN must transcend the mindset that preventing the haze (burning forests) is just an economic problem for those affected by the air pollution. Or that the environmental issue only involves solving the haze problem. They must go beyond this and see that preserving the forests determines what kind of world we leave behind for our children and the generations to come, even for us here in Singapore. Indeed, those of us living right now face the dire consequences and not just our future generations. They must also see that environmental impoverishment will indeed affect their country’s very survival, or existence – like past societies such as the Easter Islanders and the Mayas. Global warming, in some ways akin to global terrorism, does not limit itself to boundaries. Countries all over the world, directly or indirectly, are experiencing the results of climate change. Thus, this is no longer just a localized, national concern but is indeed an international one. More and more, people are awakening to and experiencing the effects of environmental changes. Hopefully, they will also see the earth as a collective home to everyone – and to every life form. But governments have been slow to move on this issue decisively. The inter-dependence of species under what is called ‘the biosphere’ is an accepted fact. As such, global warming (or climate change) should not be perceived as just ‘the problems of that country’. This view especially must not be the views of small countries like Singapore which are most susceptible to environmental change. The truth is that we are all in this together. When nature is being decimated so completely and mercilessly, from Indonesia to Malaysia, from the Philippines to Thailand to even China, we in Singapore will be affected in one way or another. This is why it is important that we go beyond just tackling the haze problem and address the real issue: That abusing nature in such a way will result in that country’s own decline and contribute to humankind’s demise. And what happens after all the rainforests are destroyed? How do you do farming for the food that you need? How do you “repair” nature which developed its own ecological systems through millions of years? How do you deal with the consequences, which includes weather change, floods, species extinction, soil erosion, pollution of the seas, spread of diseases? How do you deal with a disaster on so huge a scale? In the March 12 issue of the Straits Times, it reported : “Asians among hardest hit by global warming: Panel”. There is no doubt that there is an urgent need for the countries of the region to get together and go beyond introducing piecemeal solutions. A more holistic and comprehensive solution must be found – and this, I am quite sure, requires transnational efforts. 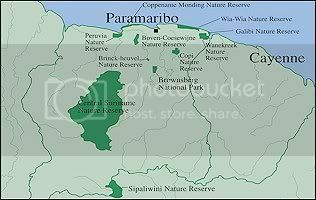 Perhaps countries like Indonesia and the Philippines can learn something from the Surinam example where Conservation International managed to secure 1.6m hectares of forest for protection and introduce a structured and comprehensive programme which includes eco-tourism for the locals to make a living. This will hopefully allow them to spare the forests. ASEAN nations can also seek the expertise of international NGOs such as CI and IUCN to help them find alternative solutions to forest burning or deforestation. ASEAN leaders must realize that climate change will be – if it is not already – the biggest issue they will have to confront sooner or later. And Singapore must push harder for ASEAN to do more as a regional grouping and for the Singapore government itself to seriously start educating Singaporeans about climate change – and go beyond introducing stickers for “refrigerators and air conditioners” to get consumers to buy “environmentally-friendly” products. To hear a government minister say that since reclaimed land in Singapore is “125cm” above sea level and thus is well above the IPCC’s worst-case projection of “59cm” – implying that Singapore has nothing to worry about, is ignorant. This is because the real impact of climate change is many-fold, and not just a rising of sea water level. Indonesia: The world’s fourth most populous nation has the third largest tropical forest, after Brazil and the Democratic Republic of the Congo. 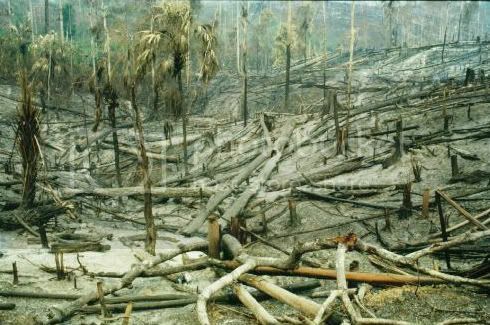 The report says that 40 percent of the forests existing in 1950 were cleared by 2000. 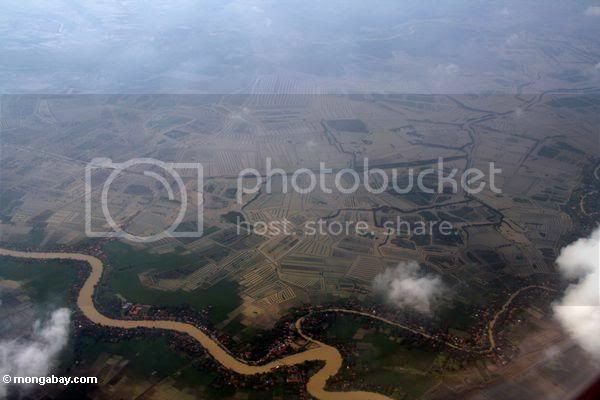 In that period, forest cover fell to 98 million hectares (240 acres), from 162 million hectares. The rate of deforestation is continuing to rise. It reportedly averages around 2 million hectares a year, double the rate in 1980s. More than 20 million hectares of forest have been cleared since 1985, mainly for industrial timber and crop plantations, but the majority of this land has not been put to productive use and lies idle. Indonesia’s lowland tropical forests — the richest in timber resources and biodiversity, but also the most easily accessible for commercial logging — are particularly vulnerable. The World Bank says that such forests have been almost entirely cleared on Sulawesi, in eastern Indonesia, and will disappear on Sumatra by 2005 and Kalimantan by 2005 at current rates of extraction.